I would like to thank the publishers for sending me a copy of this book in return for an an honest review via Bookbridgr. Mary Roberts managed to take her biggest secret to her grave, but now that her five year old Grandsons life may depend on her daughter, Beth, figuring out exactly what that secret is. Beth's son needs a kidney, and as Beth and her Husband Michael are not a match, his life depends on whether or not Beth can find out the true identity of her father. Shortly after Mary's funeral, Beth finds a newspaper clipping of a tragic bus accident that took place forty years previously and with it a letter that will change Beth's life forever, and may just hold to key to finding out who her father is. But, there are more surprises than that in store for Beth, as The Secret takes us on a journey, telling two stories, one from 1976 and one from 2016, showing how one moment can change the lives of so many. I must admit that I have The Letter sitting on my bookshelf since it came out last year and somehow, it still sits there, unread. I have now moved it to the top of y to be read pile, because if it is half as good as The Secret, it's going to be an absolute corker of a read. The Secret is a powerful book that I think will stay with me for a very long time. As an avid reader, I have come across a lot of books that have left their mark on me, but The Secret definitely stands out from the crowd. This book has is all. It has it's funny moments, moments that will make you cry and moments that will shock you. It also has an air of mystery to it and so many twists and turns thrown in, the reader will feel like they're on a rollercoaster. An absolutely stunning tale of heartbreak and hope, The Secret, is brilliantly written and tells a truly magnificent story. Each and every one of the characters in this book are excellently written and developed superbly. 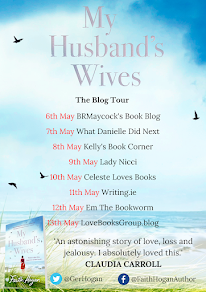 From Beth and Mary to Selwyn and Petula, each character is penned with so much love and comes with enough background information to make the reader feel as if they have known these characters their entire lives. 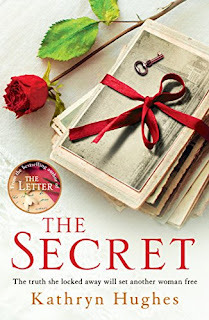 The characters in The Secret are genuinely some of the best written characters that I have come across, across and fiction genre and when I had finished reading the book, I was sad to have to leave these brilliant characters, who had become friends, behind me. For me, the fact that the book tells two stories, forty years apart, that are both somehow entwined is what makes The Secret so special. I have read a few books in the past that have been told in this way, but no other author has been able to master this way of storytelling quiet like Kathryn Hughes. I adore how this book focuses on many different characters, as opposed to just one main character throughout. The Secret exceeded all of my expectations and is a book that I will return to again and again in the future. The Secret is a stunning, utterly perfect tale of hope and of heartbreak, that will leave you on the edge of your seat, screaming for more. Beyond anything that I could ever have expected, I am a little bit upset that I will never again be able to experience this book for the first time. If you only read one book this year, let it be this one. The Secret is s huge eye opener and shows us how one moment in time can effect so many lives and futures. Full of twists and turns that I never saw coming, I don't see how any other book that I will read this year will even come close to being as spectacular as this one. The Secret will break your heart but leave it full of joy. A truly spectacular story.